When I was first offered a review opportunity for From Anna Wintor to Zadie Smith (A to Z), I was uncertain. Perhaps it was the title, in my mind it would be images of personalities. I can stand corrected and totally got the mission of Raimah Amevor, author of the book. I was sent a review copy and from our experience I would say, From Anna Wintour to Zadie Smith is a wonderful collection of images and motivational quotes from inspirational women around the world. Raimah Amevor is a proud black British intersectional feminist who is on a mission to challenge stereotypes which are formed as early as 4 years old. 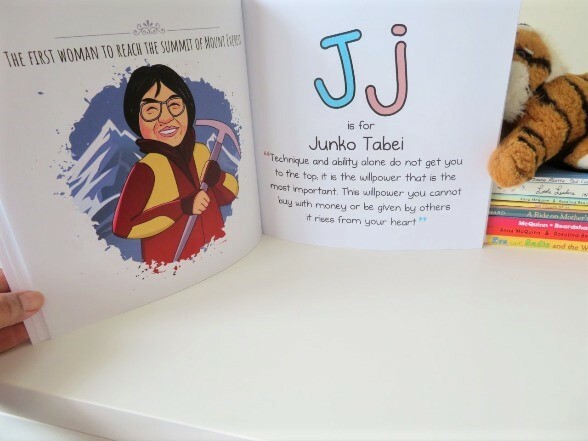 Merging her passion for child development and mental health** she has created Mindfully Kids brand which seeks to empower children around the world to be mindful and independent thinkers that look beyond stereotypes and limiting beliefs. Postively inspiring the next generation, our children (future young leaders), to embrace and celebrate diverse and empowering women of this decade and beyond. Although From Anna Wintour to Zadie Smith is aimed at children I learnt from it as well. Unlike, some picture books, I believe parents would have to explore the personalities and the quotes with their children. Typically, even if a child is not a confident reader, he/she could explore the illustrations on their own. The illustrations tell their a story and supports the text content. However, with A to Z , while children may recognize some of the personalities, and see that there is a range of ethnicities, to fully benefit parents would be required to explain or discuss the women and their quotes. I believe A to Z is best suited to 8+ years. We explored our copy as part of our bedtime routine. The children each selected a the person who’s quote they wanted to hear. Then, I shared with them a few simple aspects of that lady’s life and what she was known for, to put it into context. Then I read the quote. My best bit: It features women from diverse backgrounds who’ve achieved amazing feats in their fields. I liked Junko Tabei the best. Angelo’s best bit: He enjoyed hearing about the famous ladies. He liked Anna the best because she reminded him of Edna ‘E’ Mode. Valentina’s best bit: She loved the illustration of ‘Queen B’ meaning Beyonce. She also liked Gabourey Sidibe had to say. From Anna Wintour to Zadie Smith demonstrates that no matter where we come from, what we look like or what our talents are, we can positive difference to the world. It is an informative book that both children and parents can benefit from. A to Z contains gems of life lessons from notable women. The book RRP£13.99 from Amazon. 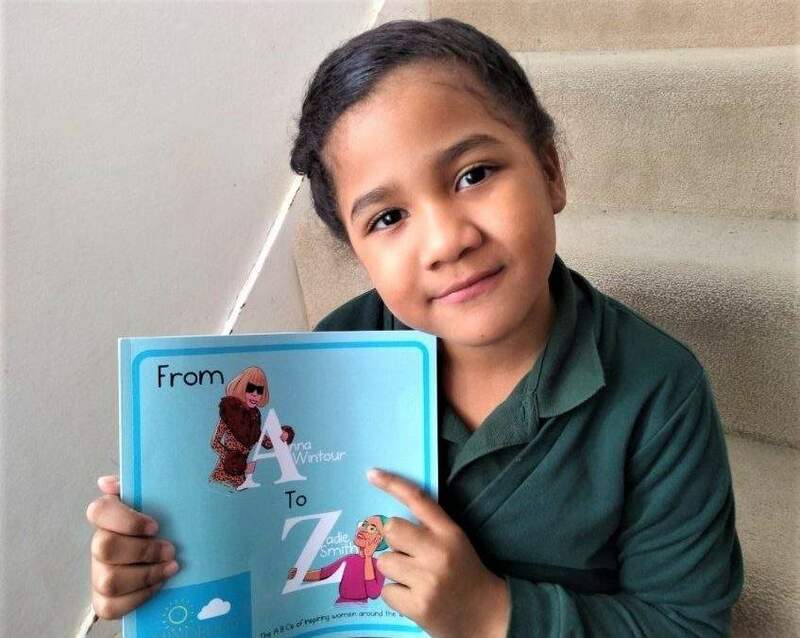 Mindfully Kids has pledged to donate £1 for each book sold to the charity Kareemat, (founder featured under ‘n’) and will rotate with charities close to their mission. Visit their Facebook page for further details.